You can now access support via WhatsApp. Find out more about how this service will work. How does our WhatsApp service work? During office hours, you can speak to one of the Leukaemia Care team via WhatsApp on 07500068065. 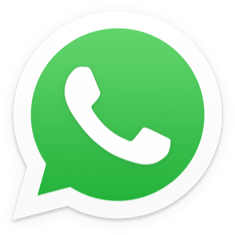 Our nurse is in the office Monday 9.15am – 5pm and Tuesday – Thursday 9am – 2pm and during these hours, they will have access to the WhatsApp service. During other office hours, the WhatsApp chat will be monitored by trained members of the Leukaemia Care team. The service is intended for those aged 16 and over. What sort of questions can we answer? Our nurse and wider Leukaemia Care team are on hand to give information and offer advice and support. We cannot diagnose any issues through a WhatsApp call. We also cannot give medical advice based on any pictures you may send. Please do not send images as we may not respond. If you have an issue which needs a diagnosis, you should refer to your own GP asap. If you ask to be diagnosed via WhatsApp, we will direct you to contact your own GP. What happens if I get in contact outside of office hours? After 5pm weekdays and throughout the weekend, our WhatsApp chats will not be monitored. We will strive to answer the messages received during these times on the next working day. The service will also be closed on Englands Bank Holidays. If you require urgent advice, please call your medical team or ring 111. In an emergency, always ring 999. Will you be accepting calls on this number? If you want a conversation, our helpline is open during the same hours as our WhatsApp help service. You can access the helpline by ringing 08088 010 444. This number is free to contact from a landline or mobile. You can find out more about our helpline by clicking here. What do you do with the messages I send? After a chat has finished, we wait a week to ensure that you do not need to follow up on any of the topics discussed. After this week, the conversation is deleted. The message thread will still be visible by you in your WhatsApp account and it is your responsibility whether you delete this or not. WhatsApp is a third-party service and Leukaemia Care cannot accept liability for data held by WhatsApp or breaches of that data. Security of data cannot be guaranteed in messages you send to us through WhatsApp. I don’t have WhatsApp – do you have any other way that I can contact you?